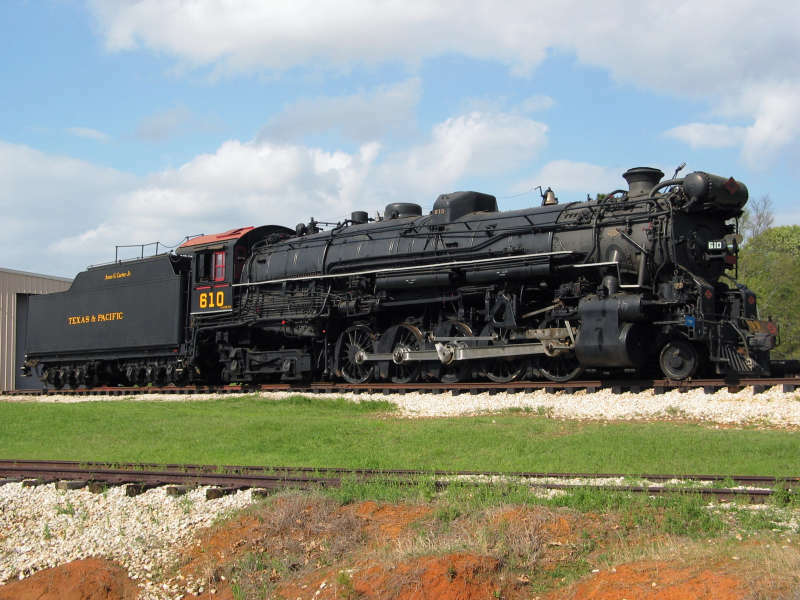 May 24-26: The Celebration of Steam at the Official Railroad of Texas, with a display of TSRR’s notable steam and diesel engines, will be at the Palestine depot. The property will open to guests at 8:00 a.m. and the train will depart the Palestine depot at 11:00 a.m. The static locomotives will be lined up on the wye, offering photo opportunities to capture and epitomize the summer opener. Guests who hold a train ticket will have better access to view these classic locomotives. For those without a ticket to ride, there will be a nominal fee to enter the property for this event. Our cafe and gift shop will be open for food, beverage and memorabilia purchases. 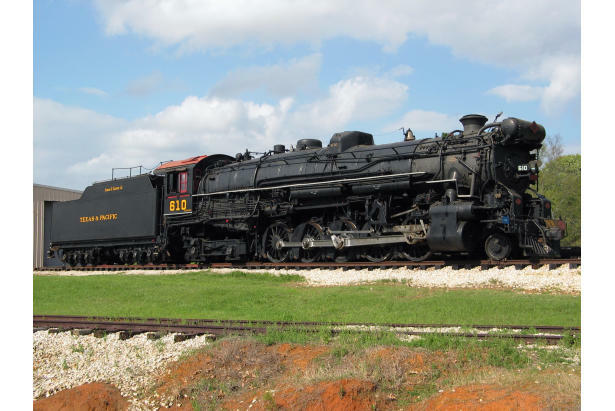 In addition to the vintage steam engines that power many of the present-day excursion trains, Texas State Railroad is home to extremely rare Texas & Pacific steam engine #610. Many would consider this massive locomotive a dinosaur, but Texas State Railroad has preserved it as an endangered species to be coddled and protected. The sole survivor of the T&P’s fleet of 70 engines with the 2-10-4 (Texas) wheel arrangement, #610 dignified the rails during the golden age of steam. Its design combined a high-capacity boiler with a modern valve gear and a four-wheeled trailing truck which became the prototype for American steam locomotives and a tribute to American engineering genius.